Once you have the app downloaded in your phone, you have access to your account and everything study related 24×7. You do not need to wait for the next day’s class if you feel like you need to see a particular lecture once again. You can just get into the app, find the video and play it again. The mentors and tutors of these educational apps are also available for guidance and support, in case you need help with some topic or need a clarification. Time efficiency is the best part of educational apps. You could be a working person, a busy mother, a college student, or anybody in general who does not have the luxury of extra time. The apps bring the training for you UPSC exams right to your fist and save you the trouble of conveyance. It also helps if you have health issues or certain other unexpected events like transport strikes or weather trouble. All these things will not be a trouble if you are taking the lesson from your home or office. Your mutual relationship with the physical coaching classes is over once you are out of there. Though you will be going back the next day, it is not quite as same as having it right in your palms, right? With the educational apps right with you, in your smartphone all the time, it helps to keep you connected with the exam preparation right down to the day of examination. Other than the fact that you can access the study material anytime for studying or any quick query, the educational apps often have a number of other features as well. Many of them have options to draw up a time schedule for you, let you set reminders for study time and breaks in between, help you make a checklist of things which are done and which aren’t and so on. It kind of makes the toughest of exam preparations a bit lighter and more exciting. The accounts are obviously portable. If you are staying at a friend’s house or at a relative’s or out for a small vacation, and feel like brushing up on your studies a bit – the apps are there to help you out. You can take your education app everywhere in your pocket, but you can’t do that with your real coaching class or take along the big, bulky books everywhere. Now that you have read that list, the educational apps do seem a bit useful. Don’t they? It is obviously a much more practical way to prepare for your UPSC, IAS or IES examinations. 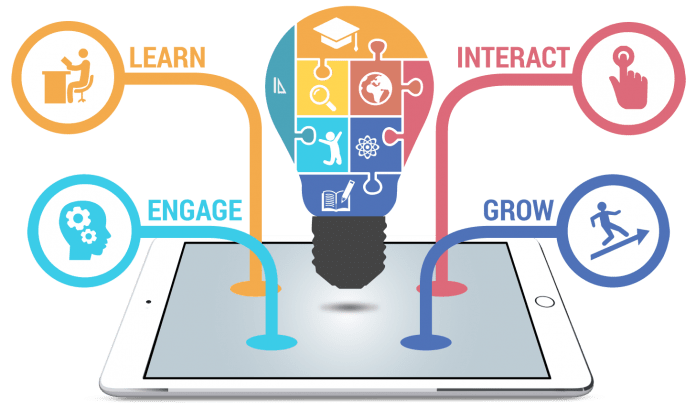 With the burden of the syllabus and qualifying in the test already so high, you need to opt for all the options that will make it easier for you – using educational apps is one. Anish is the Director at Neostencil, an Ed-Tech startup funded by the Times Group. He previously founded Testcafe – also in the ed-tech space that then got acquired. He has extensive experience in the Education industry with past exposure to investment banking, technology, real estate, and retail consulting. He is an Engineer from McMaster University, Canada and an MBA from IIM, Ahmedabad.